I'm just wondering if anyone has any information on this $1 coin. It's a little bit smaller than the regular 1979 nickel dollar, it happens to sit perfectly inside the decorative dots on the normal dollar. 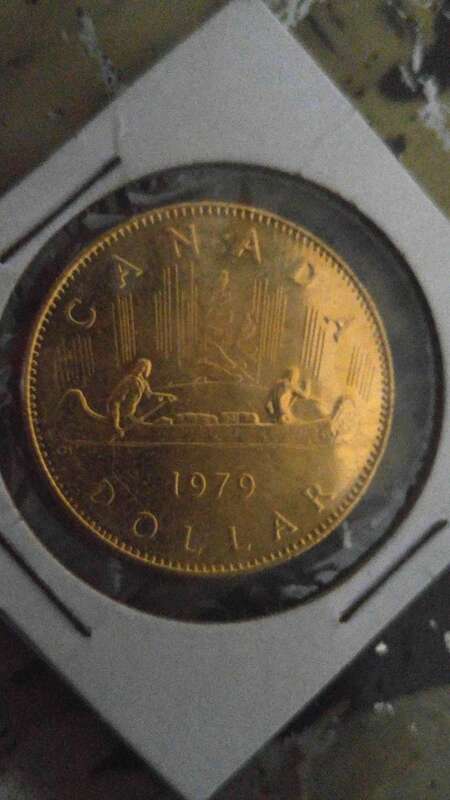 It has the exact same markings as the normal dollar for that year, it's just bronze in colour instead of silver. I bought it from a dealer a long time ago. I've done quite a bit or looking online but haven't been able to find anything like it, or any info on it. Maybe I'm not looking in the right place. Any information is greatly appreciated.